A report has surfaced regarding a potential welterweight showdown between Paulo Thiago and Martin Kampmann for UFC 115 on June 12th. Brett Okamoto of the Las Vegas Sun has confirmed with sources close to the negotiations that both fighters have verbally agreed to the fight. 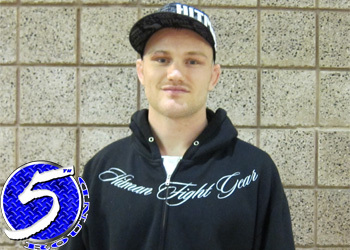 Kampmann was originally slated to fight Ben Saunders at UFC 111 in New Jersey, but was forced off the card due to a severe cut he suffered over his right eye while preparing for the fight. Thiago, on the other hand, is right in the thick of the 170-pound title contention picture after defeating Mike Swick at UFC 109 with a beautiful D’Arce choke. With a win, either fighter could find themselves in the welterweight title picture after the dust settles between Dan Hardy and Georges St-Pierre on March 27th.